Riccarton is a wide-ranging residential real estate market in the heart of Christchurch located just outside of the city centre. The depth and scope of this market requires a diligent, specialised collective of real estate minds. With over 30 sales staff on board, the Harcourts Grenadier Riccarton team has the expert skills for a wide range of clients and the individual focus for outstanding results. Supported by the best industry training and systems, they have the drive to achieve the very heights of excellence. Branch manager Dougal Boyd, who is also a Registered Valuer, has been based in Riccarton since 1990 and has an extensive knowledge of the local market. Shelley Anderson was appointed sales manager in 2017 after a successful sales career in real estate and she adds a fresh dimension and depth to the management team. Living locally and raising families in the community means the Riccarton team are experts in the central to north-western suburbs of Christchurch, but their handy location means they are not limited to these areas. As a member of the Grenadier family, the second largest franchise in the Harcourts Group worldwide, our sales consultants have access to a multitude of cutting edge tools, databases and resources. They are unmatched in their ability to provide the most up-to-date, innovative and pro-active marketing approaches, ensuring your property is seen by the widest range of potential purchasers possible. In a profession where many come and go, longevity speaks volumes. 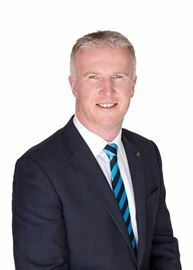 Dougal has consistently proved himself in an impressive Real Estate career that has spanned over twenty years and translates into a strong local network of contacts. As a registered valuer and accomplished sales consultant, Dougal has frequently placed in the top 5% of Harcourts consultants and has followed a natural transition from sales into management and business ownership. He has a genuine passion for the real estate industry which he conveys in a relaxed manner and with an easy humour. As manager and business owner, he enjoys sharing his vast knowledge of the urban, rural and lifestyle sectors in Canterbury. Available to carry out sales and marketing of all categories of property. Call anytime on 0275343869 and be impressed by Dougal's thoughtful, energetic approach to a smooth sales process and an outcome that will get you talking to your family, friends and acquaintances. After a successful career in sales, Shelley’s appointment as Sales Manager added a fresh dimension and depth to the management team at Riccarton. 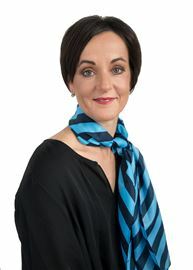 Her business experience in the Christchurch market means Shelley has an extensive network of connections in the city. Shelley’s primary focus is on achieving best possible results for her clients at all times. She prides herself on her integrity and has a simple formula for success which she strives to share with the Riccarton team, whilst enjoying the journey en route - provide top quality service that is both personal and professional. As a second-generation member, Ajay has been heavily influenced by the real estate industry since a young age. It is clear to say selling is in his blood whether you are a first home buyer, an experienced investor or selling your family home. Ajay will stand out from the crowd with a background in music production, Ajay has acquired a fine eye for detail and is always two steps ahead. Ajay is known for his relentless work ethic, kind nature and contagious, vibrant energy. Ajay will make every step of your real estate journey a positive one. So if you are looking to buy or sell and want someone who will work extremely hard to get results, look no further than AJAY SHARMA. Amy’s natural ability to relate to people and her strong communication skills have proved to be an asset to her throughout her career in Customer Services and more recently in Property Management. The transition to selling Real Estate was a natural one, as Amy has been successfully working towards developing business relationships within the Asian community regarding their property needs. Prior to living in New Zealand, Amy spent six years in Japan completing a Bachelor of Commerce as a mature overseas student from China. Speaking English, Chinese and Japanese is an asset to Amy’s business, as is her ability to work thoughtfully and sympathetically with clients from a variety of cultures. Amy believes that she has the best possible motivation for working in Real Estate; that is assisting her clients achieve their property goals whether buying or selling their homes. For Amy, satisfaction comes from the knowledge that she has genuinely helped her clients. To do this, Amy believes that her skills as a good listener, her patient and precise nature and her creative thinking benefit her enormously. Amy is neither pushy nor demanding but her commitment to her clients and her tireless persistence help her to seal the deal. Honesty and integrity are integral to Amy’s nature as is her caring and friendly nature. The large number of contacts she has built through the local Asian community and her church are testament to this. Ben knows that when it comes to entrusting someone to sell their home “people buy people” so he offers commitment, integrity and perseverance every time, to every client. Calm, practical, self-sufficient and, above all, a self-starter, Ben has a natural problem-solving approach that comes from strong links in the rural community and sales have been an integral part of his working life. For Ben it’s all about delivering on what you promise – and he promises outstanding service and an unwavering focus on achieving your sale at the best possible price. That starts from the day you list your property with him and doesn’t end until the day that sale is complete. Those who are looking for a whole lot less drama and a whole lot more common sense when it comes to putting their home in the market need to put it in Ben’s hands. With his proven sales skills the chances are it won’t stay there long. Bronwyn comes from a successful career in sales. Her passion for people and selling was the driving force to further her career in real estate. 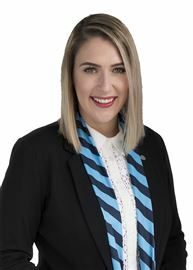 Known for her enthusiastic, forward thinking fresh approach her positive outlook to the business means Bronwyn can provide her clients with a successful, hassle-free, and rewarding experience, whether it be a first time purchase, your life time home or an investment property. She’s a high-energy person who outside of work enjoys travelling and spending time with her Fiancé Richard! If you’re looking to sell or buy, or even if you’re just interested in a complimentary appraisal but want a committed consultant who is motivated, enthusiastic and energetic, then call Bronwyn anytime on 020 4081 7541 or email bronwyn.hird@harcourts.co.nz Looking after you is my business! As I’m with you all the way! Putting the right family into the right house could be described as a “match made in heaven” and Janet considers herself to be a very successful matchmaker. Janet has worked in Real Estate for 20 years and we’re fortunate to say all at Harcourts Riccarton. She’s proud to be a member of the 90 million dollar club. An outstanding result which has come from her commitment and hard work. 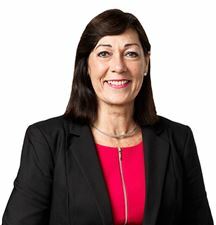 Janet’s long association with Harcourts strengthens her ability to consolidate her business and draw on its extensive market information providing her clients with uncompromising service. “Matching a buyer with a new home takes time and energy requiring a good listener and a perceptive eye. I’m fortunate to have a great deal of experience in Real Estate. Combined with my integrity, enthusiasm and commitment, I work determinedly to deliver a rewarding result to my clients.” Janet is well known in Christchurch. Having lived in Christchurch most her life she has an intimate knowledge of the Christchurch and Canterbury market and is deserving of her exceptional reputation in Real Estate which is best demonstrated by the number of referrals she receives. To keep on top of her game, Janet finds time to relax with many outside interests now her four sons have left home. She enjoys design, gardening and fashion and is a keen bridge player. She’s also actively involved in a variety of community groups. Experience Counts and it will for you too. Janet would be delighted to hear from you regarding any real estate queries you may have. 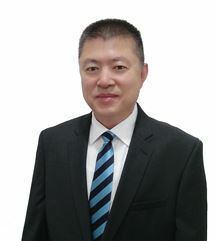 Jessie started Real Estate with a successful background in sales and business management in both New Zealand and China. She prides herself on having excellent communication, thorough preparation and strong marketing, sales and negotiation skills in her position as a Licensed Salesperson. Jessie’s passion for people, community and real estate means that she is focused on understanding your needs. Her philosophy is to satisfy her clients’ requirements by delivering a high quality service with honesty, integrity and professionalism. Being task and goal orientated and always working to her full potential, Jessie is known for leaving no stone unturned! Applying her marketing flair, Jessie is committed to creating every opportunity to attract the best buyer for your home. Arguably Jessie’s greatest strength lies in her ability to create rapport with people from all backgrounds and cultures. Alongside her successful career, Jessie has always prioritised family and community and is actively involved in organizing a variety of social and sport activities and in recent years has set up a charitable trust which supports children’s education and Chinese cultural exchanges. As a result Jessie has a vast and far reaching network spanning community, business and political spheres. Joe Butler is an award winning real estate salesperson with 20 years experience in the real estate industry. His energetic committed approach to working for clients has delivered impressive results through understanding the needs of both buyers and sellers. Joe always goes the extra distance with his friendly, approachable genuinely caring manner for clients to know they are receiving the level of service and reassurance necessary to deliver both service and results. His enthusiasm and patience working with people is immediately apparent in how he takes time to listen and assess individual needs and expectations of his clients so they are assured he is with them every step of the way. Joe’s background before joining real estate demonstrates his diversity and understanding of people from all walks of life. He has worked as a Royal Marine Commando, run a painting contracting business employing up to 35 painters, was an examiner for NZ trade certs, owned a hardware shop, joined real estate and set up his own successful real estate company and also has been involved in project management building of new houses. Joe Butler has all your real estate needs covered. He is your ‘go to man’ when you want the service of an enthusiastic, dedicated, motivated , sincere and honest real estate sales agent who works exceptionally hard to get results. Whilst professionalism is key in all her interactions, Julie’s easygoing manner ensures she is approachable and accommodating. With a background as a Registered Nurse, Julie is highly intuitive and empathetic, ensuring individual needs are effortlessly catered for. Her clients benefit from key negotiation skills honed over years of success in Pharmaceutical and Medical Device sales. Honesty is a key feature of Julie’s communication. 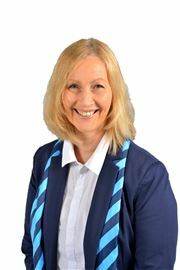 A mother of two and a keen runner, Julie relates well to the busy life many lead and understands well the additional stress that can be imposed whilst buying or selling property. For this reason, she will work with you to select a marketing approach to best fit your needs. Her tireless approach will exceed expectations in delivering a solution to make your real estate transaction an effortless and enjoyable experience. Julie is available for a confidential and no-obligation consultation, to discuss your property requirements, at your convenience. Kevin Conyers - The Consummate Real Estate Professional For Kevin, the thrill of real estate lies in managing the unpredictable and unexpected with professional acumen. His 25 years in vehicle retail, management and brokering through Australasia and Asia, developed his negotiation skills and fostered a love of working within other cultures. Kevin’s overarching philosophy is that everything is for sale, except his integrity, because without it he would have nothing to sell. Although keen on golf and classic cars, both take a back seat to driving the job through to a positive conclusion. “The blunt reality is that clients rely heavily on us to convert their homes to money in the bank as quickly as possible without fuss and bother. That is what I am here for.” As one of Harcourts Riccarton’s top agent's, Kevin’s integrity and work ethic is clearly evident. Be sure to contact Kevin for down-to-earth determination and an immediate willingness to galvanise into action. Kevin worked in a variety of industries including environment protection, computer programming, building industry and hospitality. The rich work experience makes him excellent in communication, computing, marketing, client service and negotiation. With his extensive knowledge in a wide range of properties including houses, sections, apartments, lifestyle, residential projects, investment properties and etc, Kevin always provides exceptional service and help sellers and buyers to achieve the best result. Originally from China and living over 20 years in New Zealand, Kevin is fluent in both English and Chinese. With a Master’s degree in Engineering and a Diploma in Computer Science, Kevin is adept at research and provides his clients accurate and reliable information. Kevin’s philosophy is to work passionately and tirelessly for his clients and deliver high quality service with honesty, integrity and professionalism. I have been selling real estate in New Zealand since 1995. I am of Chinese descent, multi-lingual in Cantonese, Mandarin and English. In 1987 I emigrated from Hong Kong to Christchurch, New Zealand. It was these early years I came to experience and understand western culture compared to eastern ways, which helped me immensely in interacting with people of all races and cultures. Through hard work and dedication I built up a client base of Kiwis and Asians with successful results. The most satisfaction I have gained from my years in real estate is earning the respect from clients and my peers as a diligent, honest, successful professional in this business. This makes all the hard work so worthwhile and rewarding at the end for my efforts. In my years with Harcourts, dedication to the profession has earned me accolades for being in the top 20 agents from 1997 through to 2004. With a proven successful performance track record, if you are thinking of buying or selling through Lily, you can always expect and trust she will perform your wishes with integrity and dedication in the utmost professional manner. I work hard to help people achieve their goals. Buying or selling a home can be a stressful experience, but it’s my job to make it as simple and straightforward as possible. I’ll guide you through the process, ensuring you have the knowledge you need to make informed decisions, and keeping you in-the-loop at every stage. Having owned and renovated a number of properties myself I know how to unlock the character and potential of a home, and I work closely alongside my clients to ensure they put their best foot forward when presenting their home to the market. I’m a caring, empathetic person; passionate about real estate and always willing to go the extra mile to help my clients achieve their goals. With the extensive networks and industry-leading resources of the Harcourts team behind me you can rest assured you’re getting the latest insights and the very best possible service. Call me anytime for an obligation-free chat about your property – I’d love to hear from you! Ria has a professional background with extensive sales and marketing experience gained over 15 years in the financial industry in China. Her excellent understanding of fixed asset portfolio investment has proved invaluable since moving to Christchurch in 2012 and joining the Real Estate industry. Whilst Ria takes working with her clients this very seriously, she maintains a great sense of humour and has a deep sense of loyalty to her clients. She is dedicated to ensuring her clients’ needs are met and uses her experience and knowledge to achieve a satisfactory outcome for her client. Ria’s philosophy at all times is to assist clients in optimizing their investment portfolios and ensuring customers achieve their goals. Your property is normally your greatest asset, so it’s important that you take the best advice and expect the best service when buying or selling your home. Ross McNally is confident he will offer you both. Ross brings a lifetime of sales and customer service experience to the industry. A fan of the adage “Two ears, one mouth”, Ross believes that the best way to build business is to build a rapport with his clients, and the best way to do this is to listen! In this way, he can work out their needs, find out what’s really important and make it happen! Add to this his strong negotiation skills, his ability to ‘add value’ and his determination to seal the deal and you find yourself working with the consummate sales professional. Since deciding in 2010 to make a change and build a career in Real Estate, Ross has gone from strength to strength, selling houses ranging from $200,000 to $2 million. Whether working on a deal large or small, Ross brings the same level of service and skill to his clients. Ross believes the greatest recommendation that you can receive is repeat business and referrals; he is proud to say that the majority of his business now comes from these avenues. Ross is Christchurch born and bred and is well known across the community for his many sporting achievements. A keen sportsman across many disciplines including cycling, rugby, cricket and golf, Ross has the competitive nature and focus which is vital to any Real Estate agent. Having bought, sold and invested in many properties in Christchurch over the years, Ross has a strong insight into both sides of the process; this means he is well aware of the need for clear and consistent communication with his clients as well as an honest and straightforward approach. Building trust, delivering results, Sean Innes is empathetic and friendly – not to mention driven, smart and a highly skilled negotiator. All things you no doubt seek in an agent, whether you’re buying, selling or investing. Sean’s career in real estate follows on from 24 years in the construction industry. Following his Commerce and Marketing Degree at Lincoln University, Sean owned and operated two construction based businesses. This role saw him involved in some of the largest construction projects in the South Island as well as some of the smallest jobs for private homeowners, along with everything in between. In all cases, the most important thing Sean built was trusting, mutually beneficial relationships. Over the years Sean has bought, sold, constructed and leased residential homes and commercial buildings. His success has been built on his integrity, people skills and can-do attitude – all essential qualities of a real estate agent. Furthermore, Sean understands building methods inside out. Not only can he advise on building soundness, he can guide clients through the complex processes of consents and engineers reports. A Cantabrian through and through, Sean strives to exceed people’s expectations in all regards. He works hard to achieve mutual success and nurture long-term relationships. Sean understands that for most people their homes are their biggest asset. His aim is to both protect and grow that value for his clients. Finding a great real estate consultant is no easy feat. Finding a genuine consultant with a unique capability for selling real estate is even harder. As a home seller or buyer you need complete dedication, continued communication, diligence and hard work. That’s precisely why Sue Aldrich has so many happy clients ready to refer her service. Ask anyone who has benefited from Sue’s original and effective approach, and you’ll get the same answers—Sue will devote the time, energy and resources necessary to make every sale as smooth and relaxed as possible. Sue has dedicated her life to working with people and helping others. Her career has included time spent as a Homeopath, working in Hospitality Management and other roles within the service sector. Having raised five children Sue is a master of negotiation, and time management. Highly disciplined with great attention to detail and order, she knows the secret to successfully helping people is the ability to listen and to remain calm in times of stress while always maintaining a unique and refreshing sense of humour. She appreciates what an emotional, yet exciting, experience buying/selling a property can be, and, with patience, empathy and enthusiasm, enjoys guiding her clients through the process – one step at a time. In her own words she “has energy to burn” and it is this natural high level of vitality coupled with a profound passion for selling real estate and a dynamic personality that allows her to stand out from the crowd and consistently achieve positive outcomes for her clients. Add to this the ability to offer her clients the finest technology, marketing, and the support of a committed and progressive office at Harcourts Riccarton, and you have nothing less than the complete real estate package. If you’re in the market to buy or sell, make the best call possible. Call Sue Aldrich now. Dedicated to achieving outstanding results! Most of Sue’s working life has been spent in assisting people achieve their financial dreams; initially as a financial advisor and personal development coach and latterly as a highly skilled and dedicated real estate professional. “I am passionate about people” says Sue, “and love selling. Real estate gives me the opportunity to meet people and help them achieve their goals, two of the things I love to do most.” “I want to provide outstanding service and exceed clients’ expectations”. In the eight years that Sue has been at Harcourts, that certainly seems to have been the case. Her strong communication, negotiating and creative marketing skills have won her many new friends and given her a high level of success. Sue’s motto is “See it, Believe it, Achieve it”. For Sue, success is a ‘SOLD’ sticker and a happy client. She is well worth a call when you make your next real estate move! When it comes to buying or selling what is likely to be your largest asset, trust and communication with your consultant is key! Not only can you trust that Vincent will go above and beyond to deliver the results you deserve, you can also rest assured that he possesses the skill set to do so. With a background in engineering and experience from running his own business, Vincent has great attention to detail, strong negotiation skills, a knack for finding solutions, and a good eye for opportunities to add value. When it comes to communication, Vincent will ensure that you are well informed at all times of all matters material to you. To top it off, Vincent is highly knowledgeable and passionate about property, so you just know you’re in good hands! "Whether you are looking for help finding your dream home, to sell your current one, or simply have a real estate question you would like answered. It would be my pleasure to help!" 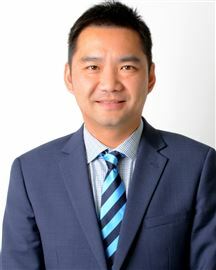 Having fallen in love with the city of Christchurch, Yan studied at Lincoln University and then proceeded to run a successful transport franchise and operate a tour guiding business for several years, developing strong business connections along the way. 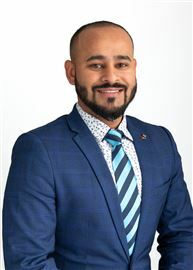 However, with a lifelong interest in finance and real estate, he decided to combine these passions with his ability to foster relationships as a real estate consultant at Harcourts Riccarton. Yan has a generous, enthusiastic personality and gains great satisfaction from assisting his clients achieve their real estate goals. 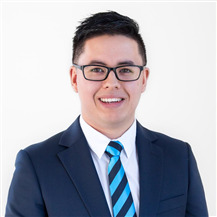 With the strength of the Harcourts brand behind him, Yan welcomes your enquiry and looks forward to helping you with your real estate requirements. How fast can you move in ? Middleton Grange is so close! Under Pressure - Must be Sold! Developers - this is for you!! A Pot of Gold at Rainbows End? Big and BIGGER on Branthwaite! Deceased Estate - Be Quick! See it, Love it, Buy it!!! Your Home Will Be Your Castle! Great Value on Chepstow Ave.